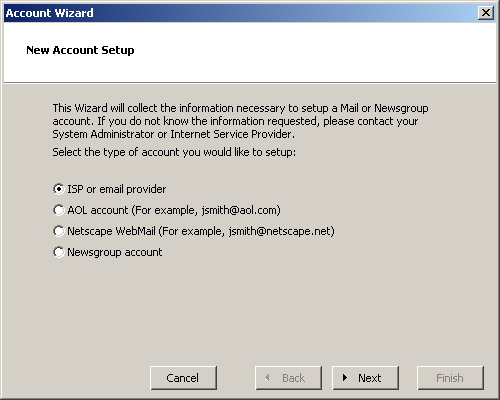 This is the first screen of the Netscape Account Wizard. Select the radio button for "ISP or email provider" and then click "Next." To continue the tutorial click "Next" in the screenshot below.